Asphalt and stamping paving is an investment. You will need to plan your budget and then stick to it. 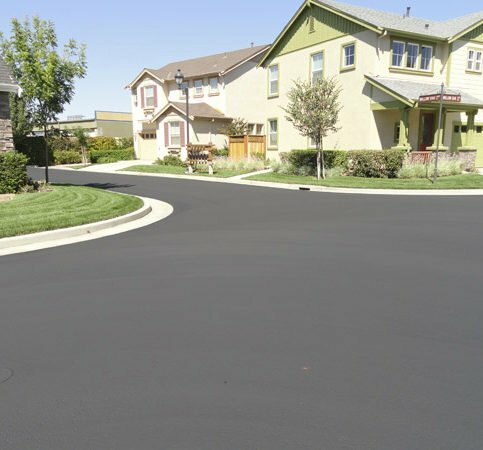 After you have found an asphalt stamping and paving company in Monterey and San Benito County that you can trust, you will have peace of mind as you begin your asphalt stamping and paving project. First, meet with the contractor. Using the notes that you have taken, you can accurately describe any concerns that you have. Be detailed and don’t be in a rush. It is as important for you to hear their suggestions and observations as it is for them to hear you. If you don’t understand something, ask now. You need to completely comprehend the plan and any problems or solutions that may come up. When you feel satisfied with the information you have received from your Monterey and San Benito County asphalt stamping and paving contractor, sign the contract. Be sure that they have a phone number where you can be reached. Professional asphalt stamping and paving contractors are able to handle the very small to the very large aspects of their work. However, you can do some things to prepare for them and to make their progress in putting in your asphalt stamping and paving go more smoothly and more quickly. Doing these things may even cut down on the labor costs and can keep your home and belongings from being damaged. Remove any furniture or movable items from around the area where the asphalt stamping and paving contractor will be working. Before they begin work, remove anything that may be in the way such as barbecues. The more you do the more quickly they can get to work. Provide parking space and room for their work vehicles to maneuver. Some asphalt contractors have large vehicles that require more space than average. Contact your contractor before they begin and ask them how many parking spaces they need and how much room they need for oversized vehicles. It is also helpful to walk through the area with your contractor so any hazards or clearance issues can be pointed out before installation of your asphalt and paving. Keep your pets and children away from the area. Your asphalt and paving contractor will be focused on installing your asphalt and should not have to watch out for your pets or children at any time. This not only prevents accidents and injury but also any expense that comes from accidents that may happen because of your children and pets being in the way. After you have completed some initial research, talk with a few local asphalt stamping and paving companies. Compile a list of questions and use that list when speaking to asphalt stamping and paving contractors. Be sure to write down their answers. You want to get estimates from only those companies that meet or exceed your expectations. If the contractor doesn’t give satisfactory answers to your questions, move on to the next asphalt stamping and paving company on your list. You will want to know what you want from your own asphalt stamping and paving project. Have an idea of your timeline, color, stamping, and budget, etc. Do I want a Diamond Certified asphalt paving and stamping company that is rated best in quality and backed by the Diamond Certified Guarantee? Have I budgeted enough for this asphalt stamping and paving project? Are there any changes or repairs I need to have done to the house before I have new asphalt and paving installed? Am I planning on staying in this house over the long-term or am I going to use it as rental property? What personal and professional characteristics would I like my Monterey and San Benito County asphalt stamping and paving company to have such as good communication skills, timeliness, honesty, integrity, and reliability? Have I chosen a color and style that looks appropriate with the landscape and house? Once you have narrowed the field to a few of the best San Benito and Monterey County asphalt stamping and paving contractors, visit them to meet the contractor in person. Are the asphalt and paving products that you use environmentally safe for my children, pets and yard? Will you give me a written contract for asphalt stamping and paving services? Do you hire subcontractors for any part of the asphalt stamping or paving work? Do you have a valid asphalt contractor’s license and what is the number? Do you charge for asphalt and paving estimates? What type of a guarantee do you offer on your paving and asphalt stamping services? It’s best to choose a Diamond Certified asphalt stamping and paving company because all certified companies have passed an in-depthratings processthat most other companies can’t pass. If you want quality from an asphalt stamping and paving contractor in Monterey County or San Benito County, you can have confidence choosing a Diamond Certified company. Diamond Certified reports are available online for all certified companies. You’ll never be fooled by fake reviews. That’s because all research is performed in live telephone interviews of actual customers. If you can’t find a Diamond Certified asphalt company within reach, you’ll have to do some research on your own. If you do, it’s wise to call some references provided by your asphalt stamping and paving contractor. Keep in mind, though, that references provided to you by the asphalt stamping and paving contractor are not equal in value to the large random sample of customers surveyed during the Diamond Certified ratings process. That’s because references given to customers from companies are hand-picked instead of randomly selected from all their customers. If you live in a smaller town such as Carmel Valley, Castroville, Chualar and Coburn, were you expected to pay extra for their travel expenses to your home? What type of asphalt and paving stamping were used for your job? Did they do a good job of clean up after they completed the job? Your choice of an asphalt stamping and paving company in Monterey County or San Benito Countyis an important decision. Before deciding on the asphalt stamping and paving company for you, consider the following questions. Is this asphalt paving estimate with in my budget? Does the asphalt stamping and paving contractor offer a written warranty to back up their work? Is the asphalt stamping and paving contractor in Monterey and San Benito County able to meet your needs when it comes to scheduling, customer service and experience? How knowledgeable is the asphalt stamping and paving company about the techniques they will be using and the specific needs of my job? It’s the asphalt stamping and paving contractor’s responsibility to put in quality asphalt stamping and paving using the best possible installation techniques. But you also play a big part in the success of your asphalt stamping and paving. Here are a few simple steps you can take to be a good customer when hiring a Monterey and San Benito County asphalt stamping and paving contractor. Be clear and upfront with the asphalt and paving contractor. Let them know what you want from your asphalt stamping and paving, the long-term outcome you’re expecting and specific ways they can satisfy your expectations. Ask your asphalt stamping and paving contractor if he will call you with updates or if you should call to check on the progress. Before you hire an asphalt contractor, restate your expectations and goals, and reiterate to the asphalt stamping and paving representative your understanding of the agreement. Most problems with local asphalt stamping and paving occur because of a breakdown in communication. By being clear about your expectations and theirs, you can avoid most conflicts. Why do you want to be a good customer? Asphalt and stamping paving contractors in Monterey and San Benito County appreciate customers who are straightforward, honest and easy to work with. Your behavior sets the tone from your end and creates an environment conducive to a good relationship. Things may very well go smoother and any problems may be more easily resolved. The asphalt paving contractor’s name, physical address and license number. It is wise to compare the completed work with the written invoice. Ask your contractor to walk through the asphalt stamping and paving project with you and show you the work. During the walk-through, ask if there are any special instructions for maintaining your asphalt stamping and paving. If you have any questions about the work or materials, ask now. 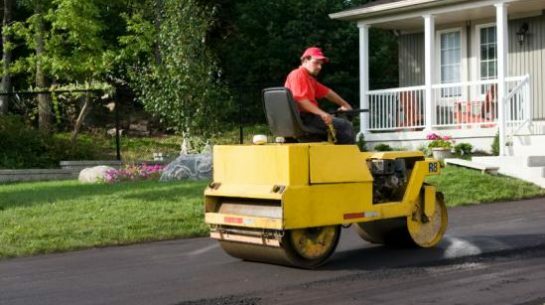 Most asphalt paving contractors offer some type of warranty on the asphalt stamping and paving. Ask that the details of the warranty be provided to you in writing. The San Benito County and Monterey County asphalt stamping and paving contractor’s name and physical address. The top requests for asphalt stamping and paving services in Monterey and San Benito County are listed below.